Razzy Peach Paradise Smoothie + Laney and Lu Cafe Collaboration! Recently, I had an amazing opportunity to takeover Laney and Lu Cafe’s Instagram account and share a brand new smoothie recipe. If you haven’t heard of Laney and Lu, it is a cafe located in Exeter, NH, that is all about sharing and promoting a love of real food. 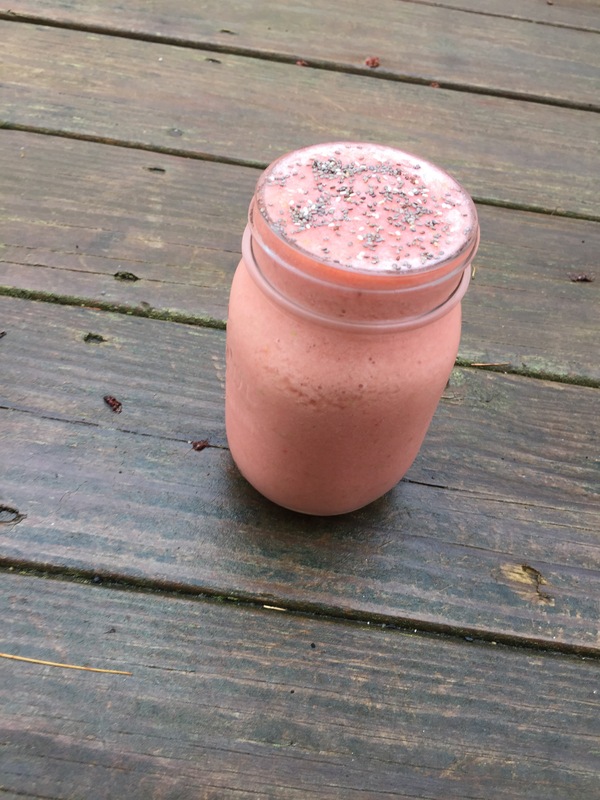 As one of Laney and Lu’s “Blends with Benefits,” I shared my story (and the recipe I’m about to share with you) for a day, and my Razzy Peach Paradise smoothie was sold in their cafe for the week. It was such a fun experience, and I would highly recommend checking out their inspiring mission and menu at http://www.laneyandlu.com. This smoothie is perfect for late spring, as it is hydrating, packed with healthy fruits, and has a fun, refreshing flavor. Not to mention, the electrolytes in the coconut water make this smoothie a perfect post-workout choice or hydrating start to the day. Please check out Laney and Lu and their website, and sorry for the delay in posting. 🙂 Enjoy! To make, blend all ingredients in a high speed blender until smooth. Serve with a sprinkle of chia seeds, if you would like, and enjoy!